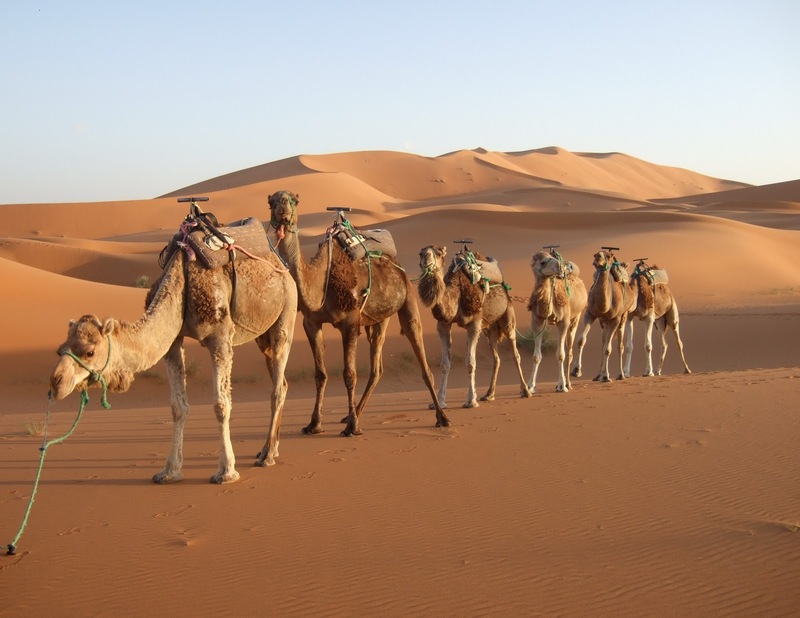 give you a passport to Moroccan cuisine ! that I knew little about. 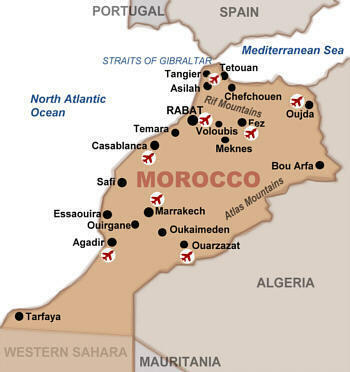 Situated in North Africa, Morocco is known for it's diverse cuisine, long-held traditions, and Mediterranean influence. 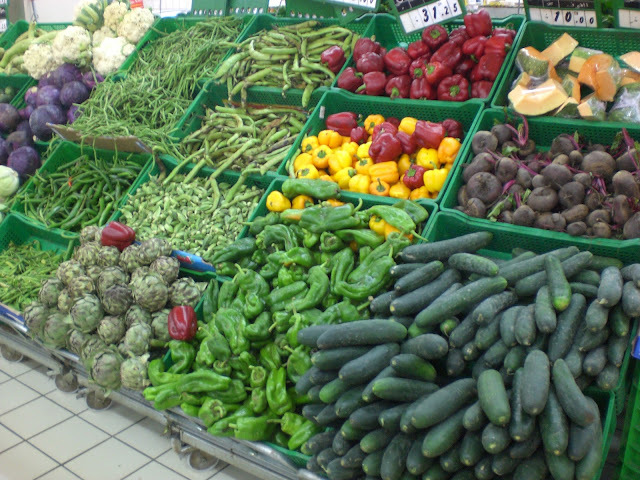 Moroccans emphasize a diet abundant in fresh fruits, vegetables, meats, and whole grains. A typical meal begins with a series of hot and cold salads, followed by the main course, a tagine . a knob-like handle at its top to facilitate removal. Moroccan tagines often combine lamb or chicken with a medley of ingredients or seasonings; olives, quinces, apples, pears, apricots, raisins, prunes, dates, buts, with fresh or preserved lemons, with or without complexity of spices. Traditional spices that are used to flavor tagines include cinnamon, saffron, ginger, turmeric, cumin, and paprika. 1 tsp salt , 1/2 tsp cayenne , and 1 pinch saffron . I'm so happy that I'm the first to comment...because I want to be the first to say, "What a lovely post!" I want to visit Morocco so badly and you transported me with these photographs and recipe. Thank you for sharing with me...I will be trying this soon! I haven't had much Moroccan food although I did have one spectacular meal at the Paris Mosque. They have a restaurant on the premises and the food was just to die fo. WOW Kelsey!! That looks amazing...a great new exotic dish for your (and our) foodie pleasure. I am very impressed and love spicy stews, especially in the fall. You presented it so beautifully as well, and the parsley looks so pretty and fresh. What a great looking dish. My hubby would be drooling over this as he's a huge fan of lamb. Love the combination of flavors, and beautiful presentation too. By the way, I think you may have misspelled one of your words. I think you meant to spell nuts but accidentally spelled "buts". Just wanted to let you know. Hope you're having a great weekend. Holy cow. That is one gorgeous dish. And huge. I like, I like!! Esp with the pistachios on top. They get me every time. Mmmm, tagine. So good! Especially with lamb. I've been craving a hearty stew like dish, and this might just be it. Wow, this looks beautiful!!! Morocco is an awesome cuisine to choose. I want to go there so bad!!! What a beautiful looking dish :) That's definitely a cuisine that doesn't get much publicity. I don't think I've ever eaten lamb.. but it looks nice and tender from the photo! Good job with the challenge.. it's definitely not an easy feat! Hmmm, I just love oriental food - especially the combo of warm spices, cool yogurt with tart lemon and fresh greeen parsley - oh so lovely and super yumm!!! I love tagines, and the Moroccan spices. Wow! How creative! I am loving this! Oh Kelsey, it looks beautiful! I love it! I love that you included so many other things related to your cuisine in this post! I am so impressed with this! I love that you chose such a unique dish to make. It looks amazing! I've never had or tried Moroccan food. But that looks good :) I don't know where I'd find any here so maybe I should make some too! That seriously looks like something off of a menu in a restaurant! This is so beautiful! I've never tried a tagine before but Moroccan food always smells so amazing. GIRL you are so adventurous with your food- LOVE IT!! Gahh!! this looks awesome! 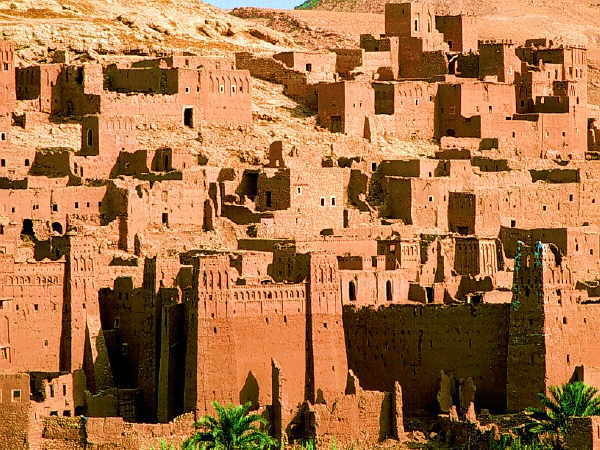 Morocco looks like a beautiful place with delicious food! I think I would fit well into their eating lifestyle. :-) I've never had a tagine before, but your version looks delicious! This post is quite timely because I had Moroccan food yesterday after such a long time! And it was amazing - from start to finish. I can't wait to visit there one of these days. Until then I am just going to made your awesome recipe. You know you've done something right when you make a meat dish that looks tasty to a non meat eater. Seriously, that looks really good! 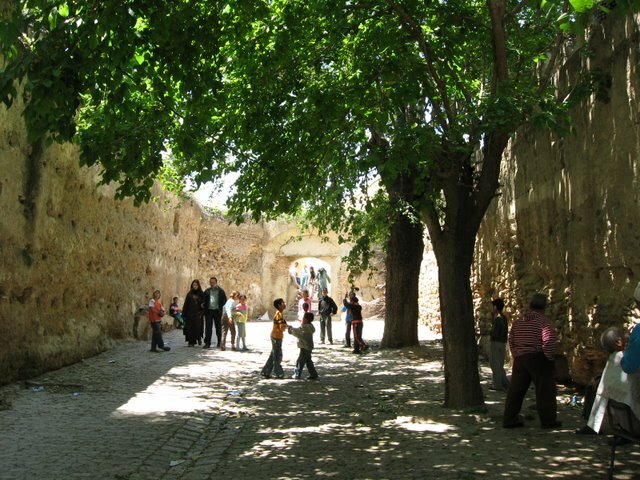 I loved seeing pictures of Morocco thrown in, it looks gorgeous there. Yet another place to add to my already long list of places to see. my husband is going to LOVE this. can't wait to make for our dinner. What a stunner! I ate lamb last night and already want to get more to make this! I love love love anything Moroccan. Their flavors are sooooo complex and awesome. looks like an amazing complex and satisfying meal! the pistachios are definitely icing on the cake (or lamb) ;) morocco looks like an awesome place to visit! what a great post! This looks amazing! Very colourful post! Loved the spice blend you used, I imagine this would be great on many different dishes to give them that Moroccan flare! Whee, Marocco! I've dreamed of travelling to Marocco since I was a child! 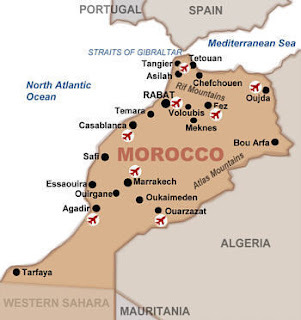 How exciting you've chosen Marocco for your ethnic food origin! And the food looks incredibly good! Wow Kelsey, this post is amazing! I need some of your food styling skills. Love the Moroccan photos and the recipe! I had no idea you were in Project Food Blog - I missed you on round 1, but you have my vote on round 2! Morocco sounds and looks LOVELY! Love the food, too! OH MY!! Mmmm...Morocco. This reminded me of being there a few years ago - I lived off their vegetable tagines when we ate in wee restaurants. There's a lot of meat over there, but also a lot of veggie tagines :) And their olives!!! You can buy a pretty decent amount of olives for about 20p! And their dates...nom nom nom.... and the tea! We got invited into this wee tea-shop stall and the owner brewed up some of (what I think is called) royal tea. I forget the blend, but it probably had things like star anise and cardamon. He also asked me to marry him and I agreed so long as we could have goats and live in the mountains... tee hee. ps. I'm totally making your muffins soon. Thanks for the mini adventure. I have never had Moroccan food. That looks so good! Oh my goodness, Kelsey! This looks sooooo tasty, divine, and beautiful! I love Moroccan food so much. I made a stew for a Christmas dinner last year, and it was incredibly aromatic. Oooh I totally feel like I'm IN Morocco... Now if I could only smell it :) Really though, this looks awesome! I was just talking about how I got my Dad hooked on tagines..so yum! My sole goal for the next week or so is to make this dish! Wow! I love love love any "ethnic" foods, traditional flare foods- this looks amazing! I loved this! It was so cool how you went into the culture a bit and explained things. AND it looks delish....and I don't even eat red meat. 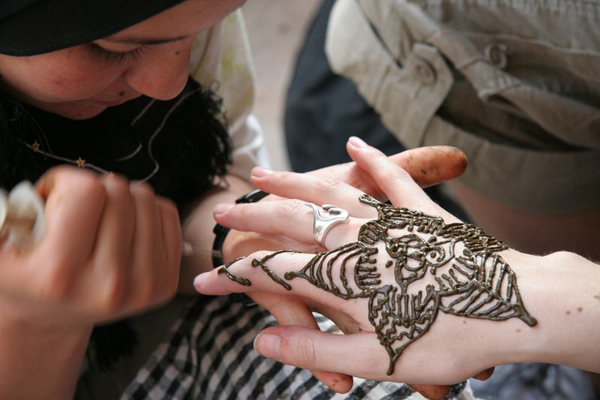 Oh how I heart Morocco! I was there last August. The food is amazing, incredible - I cannot wait to go back! The spices....I have no words. That dish sounds fabulous! I really like Moroccan food, it has so much flavour.